I’m busy and don’t pay attention to pop culture, especially now that the house is empty of teenagers. So I don’t know that much about the current zombie craze. They seem to be everywhere in movies, television, and commercials. However, as a scientist, I do know a bit about real zombies and how important they are in the real world. And I’m here to implore you to help me save zombies. It’s urgent. I beg you. If we don’t conserve zombies, there’ll be hell to pay. Most people think zombies are fictitious, or at least, they hope they are! Ghosts, the living dead, and having the dead return to partial life to torment people are fears and themes that have haunted the human psyche and imagination probably since the dawn of our intellect. Of course, there’s always been good reason for humans to be afraid of the dark. After all, we don’t see that well at night compared to many animals. Can we all say walking “predator bait” little boys and girls? But being afraid of death defines us as intelligent and sentient beings. We are aware of our mortality and the threat of death and it scares us. Of course, zombies are a special case. They’re in that awkward halfway place between being able to enjoy sitting in a bar having a cold beer and laughing with your friends versus watching your ear rot off and fall on the floor. You know, that same kind of feeling you have during some faculty lectures! If we put human imagination and irrational fears aside, there are well documented cases of real zombies in the natural world. So how does one become a real zombie (other than by attending a faculty lecture)? First, let’s have a short lecture on the subject. I know. I know. You don’t have to say anything…. Are You Already a Zombie? Now for those of you who haven’t already been zombified by this lecture, do you worry about some parasite turning you into a real zombie? Well, if you don’t, you should! It isn’t just ants, bees, and other insects that can be turned into zombies in the real world. Mammals are susceptible to zombification, or behavioral manipulation and problems associated with parasites and other influences on our brains. 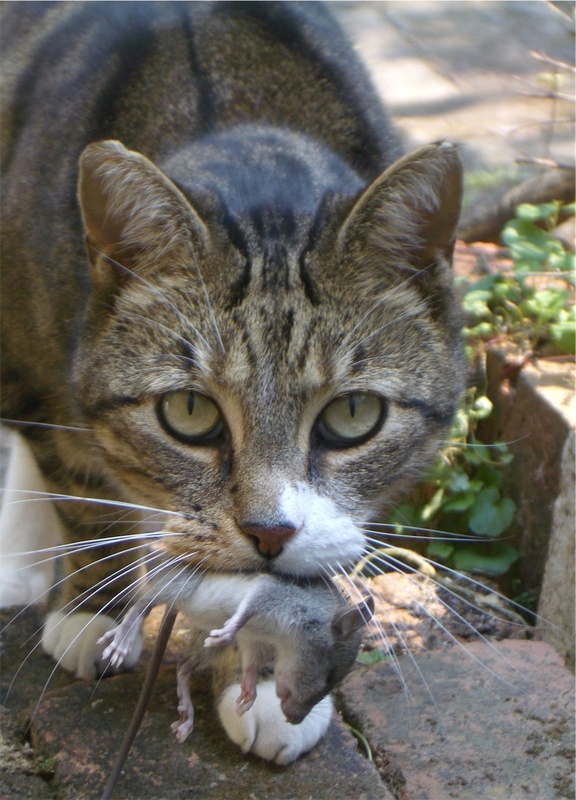 To see how cats may indirectly zombify humans, see (with apologies to Michael Douglas and Glenn Close) this story from Scientific American that I like to call: Fatal Attraction. Paranoid schizophrenia is a serious medical condition, so I will resist making an easy joke about it here. But you might wonder what we will eventually learn about the ability of parasites and viruses (and perhaps elements of our own DNA) to manipulate their unsuspecting hosts. If you’ve ever visited Nature @ WSU before, you’ve had the chance to see my “Philosophy of Worms.” But now let’s develop a philosophy of zombies. Even if animal zombies are real, what do any of these situations have to do with saving life on Earth? If left purely to our own devices, it is doubtful that many of us would easily imagine these strange cases of ants, bees, and rats being turned into zombies or being maniuplated to their doom by parasites. However, these examples are but a tiny mirror reflecting the unimaginably complex and intricate workings of the natural world and the powerful forces of evolution and natural selection. The workings of the real world are almost beyond human imagination. There are good reasons to conserve “real zombies” given that they represent complex ecological processes that have evolved in the natural world. Many critical ecological processes and behavioral adaptations are being endangered by humans as we convert the Earth to our selfish needs, much as manipulative parasites. For example, is not the wondrous, long-distance migration of the beautiful monarch butterfly across North America an ecological and behavioral process that we should seek to conserve? There is yet another logical, but scary reason, to recognize the importance of zombies to conserving future life on Earth. And so I ask you to carefully consider, which species are we looking at now that actually represent the walking dead? Which species are almost certainly doomed to extinction and we just don’t know it yet? Which species may have some remnant populations or individuals hanging on to life and their existence by a thin thread, but their grim future is almost certainly that of death and extinction? It truly is a scary thought that in some cases, despite our best science, we are almost assuredly looking at some of the living dead around us. Perhaps our grandchildren will not see them alive. We just don’t know 100% for sure which threatened and endangered species have a chance to be saved – and which are the equivalent of the living dead. The U.S. Fish and Wildlife Service classifies species of conservation concern as being “threatened” or “endangered” or “extinct” – the final resting place for human ignorance and greed. But I think we should consider adding “Zombie” as a formal conservation designation coming just before “extinct” – indicating those species or populations for whom extinction is all but fated. Perhaps if people knew we were creating zombies all the time they would pay more attention and would be more concerned about the extinction crisis gripping the world. After all, who wants to live in a world full of zombies? But then, we already do. 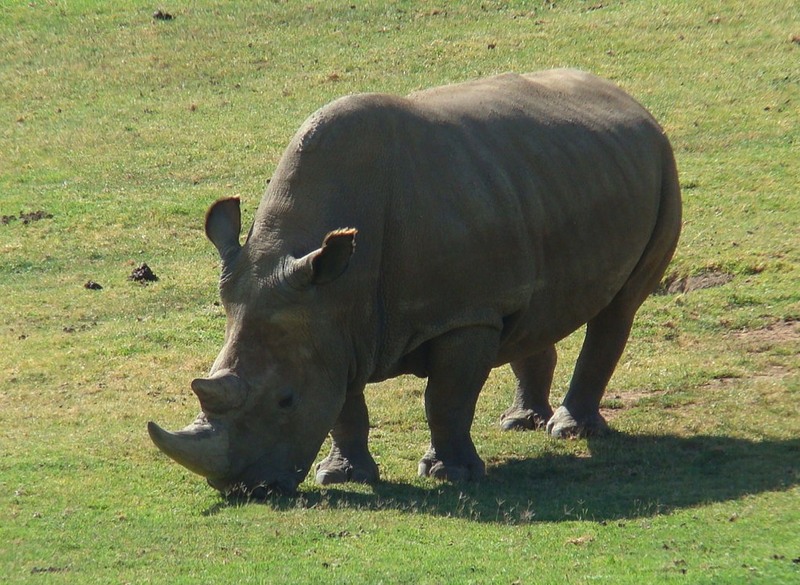 The northern white rhinoceros (Ceratotherium simum cottoni) might be a current example of a zombie wildlife species. The northern white rhino in central Africa, also called the northern square-lipped rhinoceros, was originally believed to be one of two subspecies of white rhinoceros. However, recent genetic studies suggest the northern white rhino is genetically distinct from the southern white rhino – which turns out to be really, really bad news. Why? With the recent death of one of the only two breeding males left, the northern white rhino population is down to six individuals and just one potential breeding male. I’ll let National Geographic tell you the sad tale: (Extremely Rare White Rhino Dies in Kenya). However, you don’t have to be a math wizard or a scientist to realize that the northern white rhino could be a walking zombie unless last-ditch breeding efforts work, or as a crisis measure, some of the remaining females are interbred with southern white rhinos in an attempt to conserve some of their unique genes. Could we possibly bring zombies back to life? Or better yet, could we bring extinct, that is, long dead plant and animal species back to life? The surprising answer to that question is, yes. Indeed, just as Frankenstein was pieced together on a laboratory table, modern genetic science may provide us with tools to bring the ancient dead back to life. The real question is, just because we can, should we? But this question is only one of many to be explored in future lectures on Zombie Science. Thank you for the great Halloween-themed segment today! Very informative! Thank you very much. The real world is more amazing than we can imagine, so it’s fun to talk about science when we get the chance.